I love to see new places and do new things. My son and I took a weekend getaway. I find that traveling together is always a really great bonding experience and my son and I made some great memories in Kansas City. Stroll down the Midwestern Kansas City, Kansas streets and get a feel for the welcoming small town vibe and check out the great street murals. I spotted the Avenue of Murals Project by accident but I really enjoyed checking it out. There are eight outdoor murals on buildings in a four-block section of Minnesota Avenue in downtown Kansas City, KS. 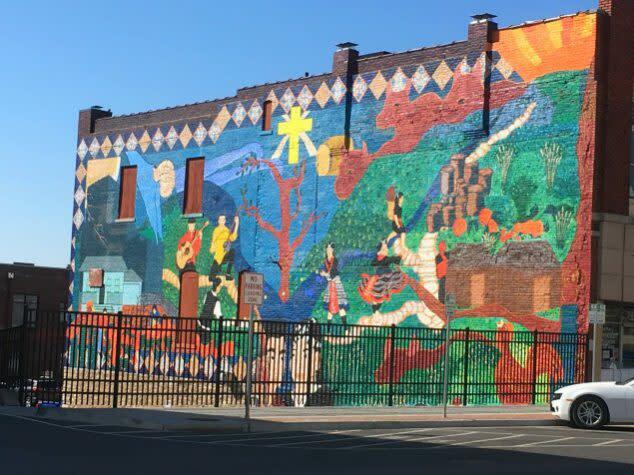 The murals depict the unique groups that make up the history and culture of Kansas City, KS. Undoubtedly, it will leave you wanting to learn about more about the history of the area which is why I suggest the next of these fun things to do in Kansas City Kansas. If you drive west of downtown, you will come to Bonner Springs, Kansas and find the Wyandotte County Museum. Admission is free with donations welcome. This unassuming, country museum seems small from the outside but I was really impressed by how interesting, fun, and educational it was. It had many informative exhibits on the different Native American tribes that inhabited the area and on the history of how Kansas City came to be. It also covers more modern history of Kansas City through World War II and the Civil Rights movement. They have interesting old artifacts that range from an extensive arrowhead collection to War II Cadet Nurse posters. 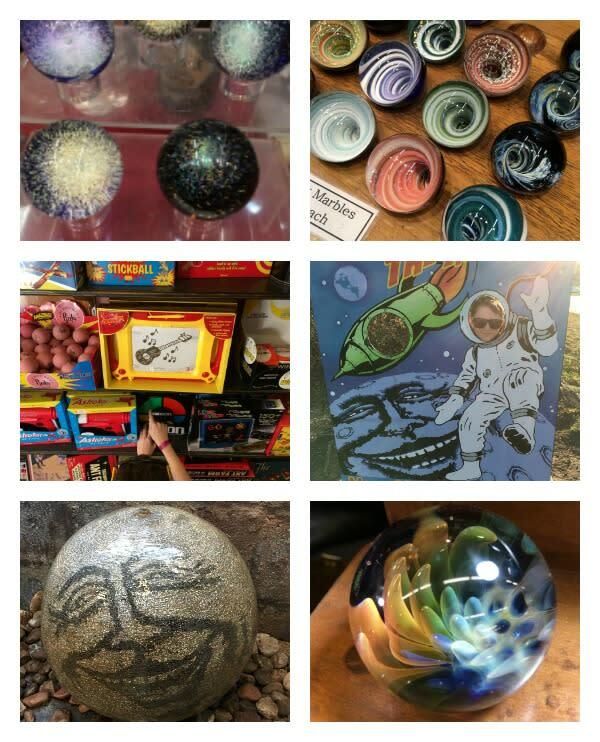 While you are in the Bonner Springs area, you should stop by Moon Marble Company to get your fill of cool retro toys, bulk marbles, and handmade marbles. They even have glassworking demonstrations and you can check moonmarble.com for the schedule. The day that I was at Moon Marble Company, they had several artists showing off their handmade marbles and I was totally blown away. I had no idea marbles could be so cool! They had playing marbles and large one of a kind artsy marbles where you could look inside and be lost in a vortex. There were also marbles where you seemed to be looking at sea creatures inside and even Marble Kaleidoscopes which I had never seen before. Cool stuff! 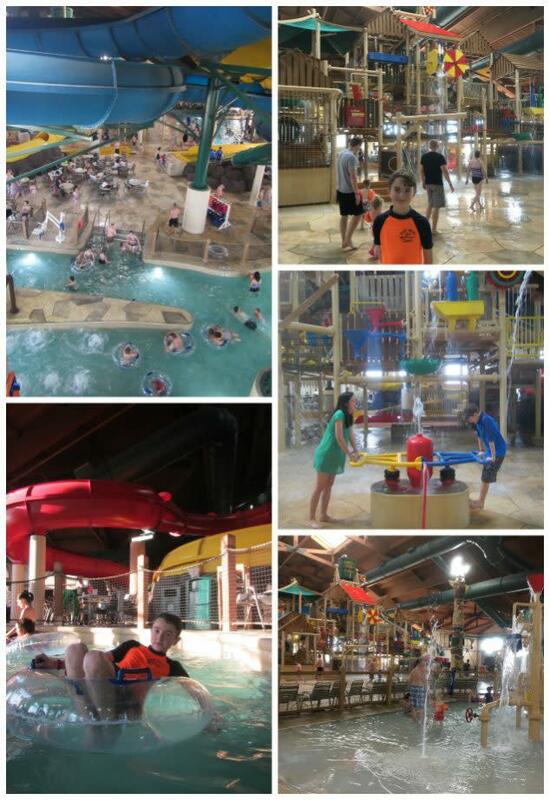 The Great Wolf Lodge is an indoor water park resort. Great Wolf Lodge Kansas City is lodging with so many family-friendly attractions that you could really just never leave the resort. I mean, seriously, it has so much to do that we couldn’t even fit in half of it in during our weekend getaway. The Great Wolf Lodge Kansas City Indoor Water Park is a massive (38,000 square feet), 84-degree indoor water park exclusively for resort guests. They have life jackets of all sizes and life guards too. The water park includes a splash and play pool for very little children; a huge 4-story tree house water fort; one gigantic tipping bucket; a large pool with a obstacle course section, basketball hoops and foam balls section, and deep water play section; a lazy river; two very large hot tubs; and eight thrilling water slides of varying intensity for toddlers to adults. We went both days we were in Kansas City and we had so much fun. I especially enjoyed doing all three of the biggest slides with my son where we could ride together on the rafts. 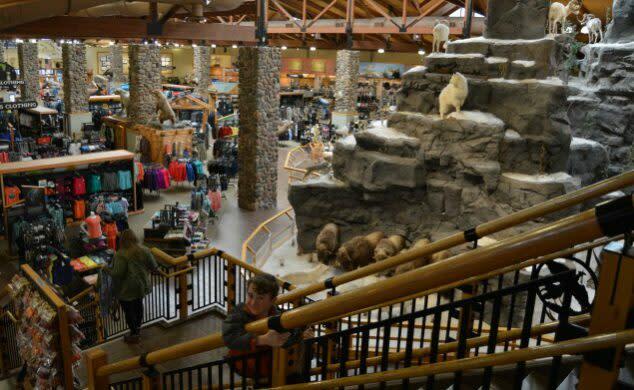 Cabela’s is a humongous (180,000 –sq-ft.) retail store with hunting, fishing, camping, recreational shooting and outdoor gear but it is so much more too! It has all kinds of fun things to do inside. There is a Mule Deer Museum, a huge freshwater local trophy fish Aquarium, a trout pond, Conservation Mountain, many wildlife diaromas, and a Safari “shooting gallery” for kids (toy guns). 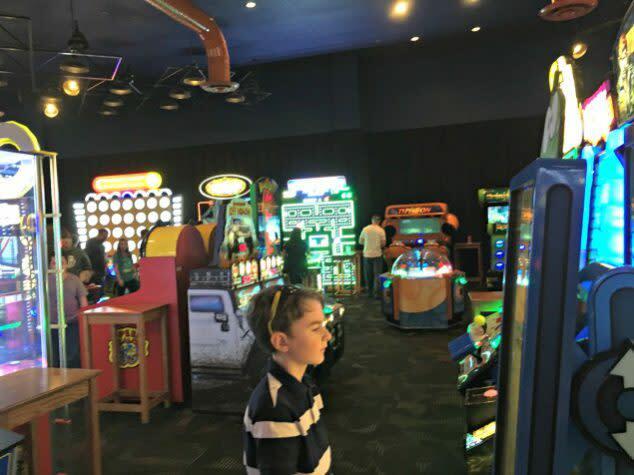 While you are at Legends Outlets, Dave & Busters offers as much video arcade game fun as you can handle. They have the best and latest electronic interactive games and improvements on classics- like the world’s largest Pac Man. I hope this list of fun things starts you off on your journey to explore more of Kansas City. I bet you discover even more fun things to do as you go. I&apos;d love to hear about your travels. 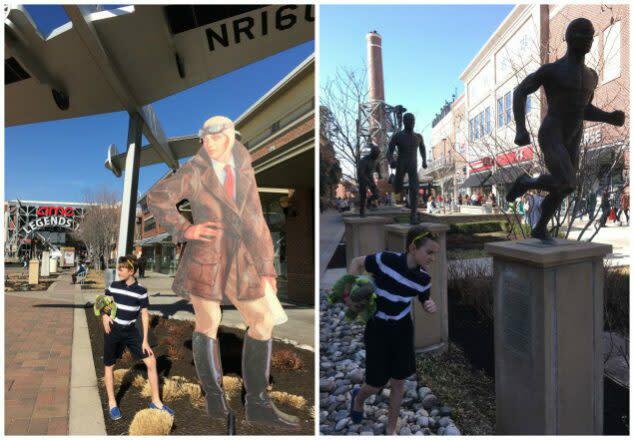 Tag @familyfocusblog and #KansasCityKS so I can see what adventures you find! Created by Scarlet Paolicchi, a Nashville mom blogger and stay at home mother of two, Family Focus Blog reports on parenting tips, family fun activities, eco tips, family food, family travel, decor, discounts, and giveaways. 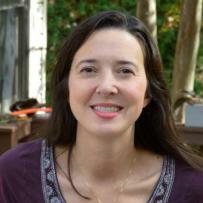 Family Focus Blog has been named #3 in Cision PR's top 50 U.S. mom bloggers list.